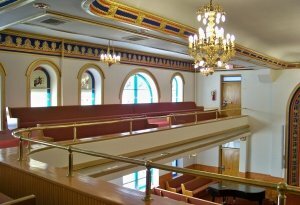 Repaired plaster and painted the sanctuary including replacement of the decorative moldings and wainscot on the lower part of the walls in the nave. 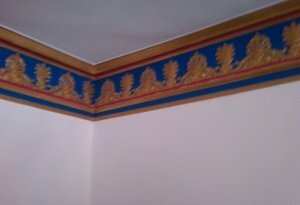 Painted the decorative molding with mica-based, non-tarnishing gold paint. 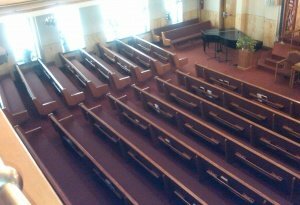 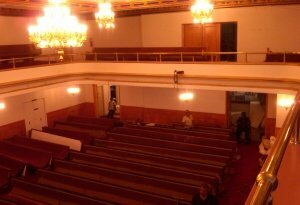 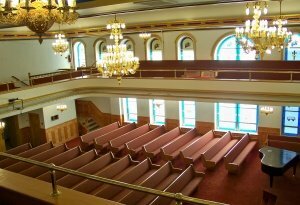 Installed new carpeting, moved the pews and reinstalled them. 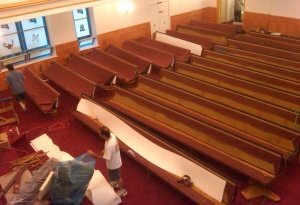 Reupholstered and refinished 33 pews (Fabric: Olympia / Marsala ).